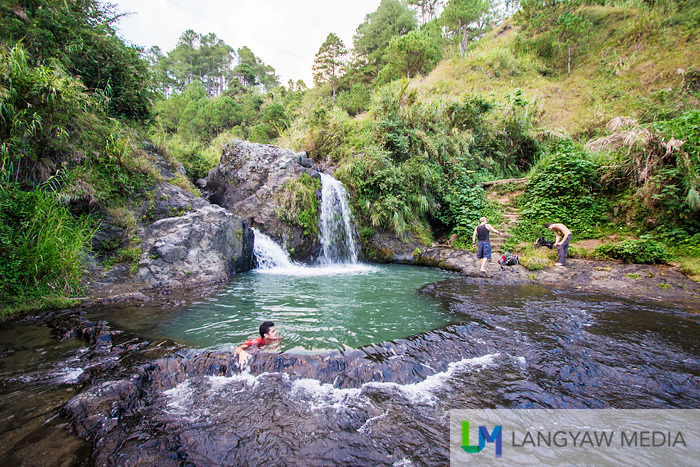 Bokong Falls is one of Sagada’s known cascades. 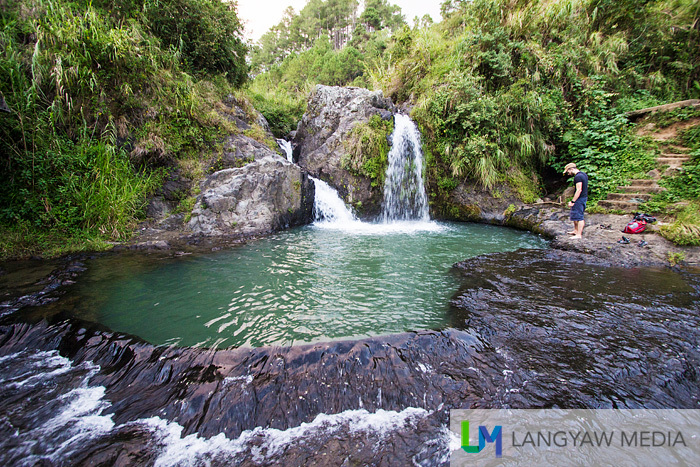 Located within a cultivated area bordered with rice terraces and stands of pine trees, its a small waterfall with two surges of water. What it lacks in height, which drops to just around 20 feet, it makes up for its deep natural pool good for swimming. The water is less colder than Bomod-ok Falls but with a smaller basin. 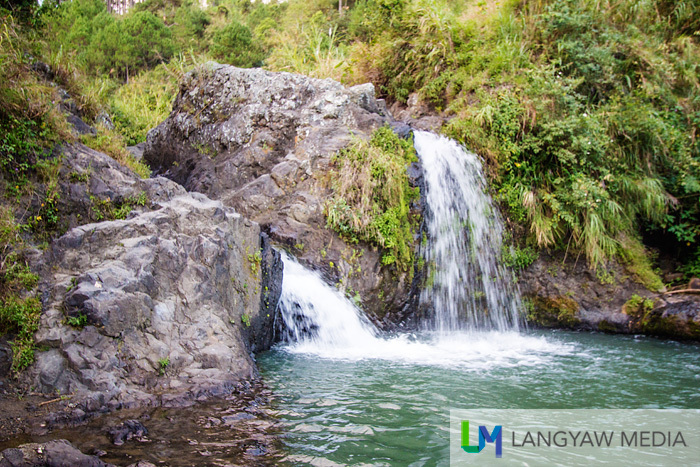 It’s quite accessible from the town, just about two kilometers of light trekking through the main road to Barangay Bangaan. Although nearer, there are no signages along the road that will indicate the small trail one has to take to reach this waterfall. Not as impressive as the others in the area, like Bomod-ok Falls, this one can be a refreshing swim involving less effort in trekking. GETTING THERE: It can be tricky to reach Bokong Falls as there are no signages along the road. 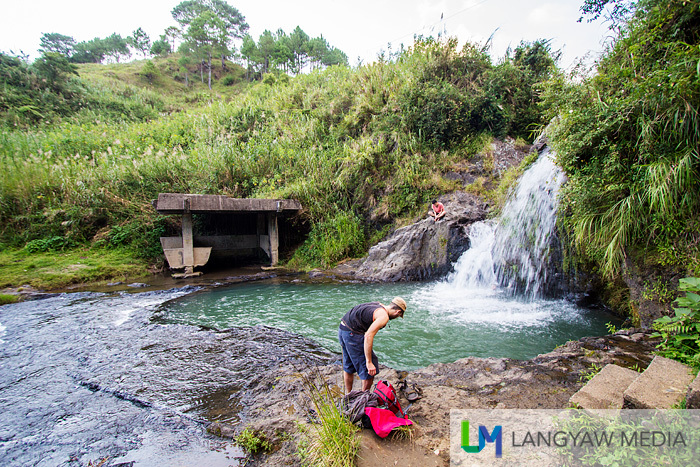 From the town proper of Sagada, follow the road to Barangay Bangaan which is just near the Sagada Weaving Center. The small trail is located at the left, beside, as of this writing, a constructed house, just before a steep curve up. Once you hit the dirt path after passing a narrow steel railing, turn right at the first crossing. You’ll then reach a wooden shack that probably used to be a bar. Once you get past the structure, turn left. Just follow the trail down. Ganda naman! All waters must be tested… sarap maligo diyan! So beautiful!! DO we need a guide to go there? For Bokong, no need for guides. It’s easy to trek but trail head can be confusing. is that far from bomod-ok falls?